How do you work to attract new graduates to your finance company? According to Edith Cooper, Goldman Sachs’ head of human capital investment, you provide a chance for them to gain meaning. 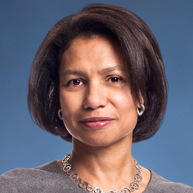 Cooper is the vice chairwoman of Goldman Sachs’ Partnership Committee. Among other things, the Partnership Committee runs Goldman Sachs Gives, a philanthropic fund sponsored by the firm’s partners. The fund is committed to fostering innovative ideas, solving economic and social issues, and enabling progress in underserved communities globally, and awards grants to non-profits who apply. So far, they’ve made more than $1 billion in grants and partnered with 5,600 nonprofits in 80 countries throughout the world.